The Most popular AI emoticon in 2019! 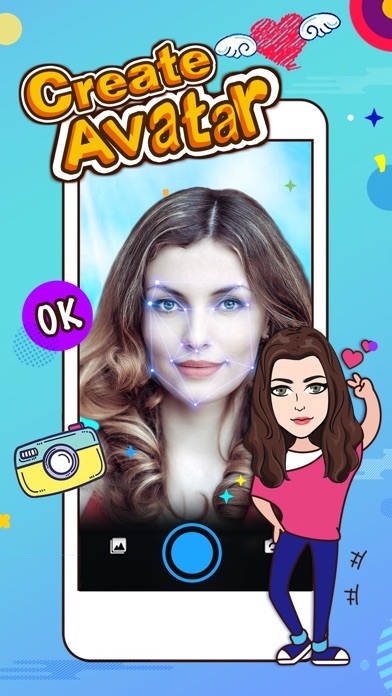 Want to customize your own avatar? You can easily get what you want in FUNmoji and makes your social life more colorful! Main Feature - There are hundreds emojis were created in your own image. - Change your hair color, eyes, accessories and more than 10 parts you can change according to your feature! - Covering a variety of popular words such as Hi, OK, No, thanks and a lot in your FUNmoji tiers. - You can post it anywhere via FUNmoji: FUN Emoji Keyboard; Facebook, Messager; Whatsapp, Snapchat, and Instagram! 3000+ amazing contents for all occasions! Pets’ Emojis collection! Cute dongs, cats, horses, unicorns and pandas are waiting for you to pick up! Nice landscapes! With four seasons activities, your emojis can be vivid and interesting! Marvel roles inside! They are happy to take the group photo with you! A variety of food! Delicious ice cream, hotdog, hamburger, cakes, popcorns… Thousands of moods! Happy, low, angry, high… always to show your feeling accurately! Many love to express to others! You have over hundred ways to show your heart to him/her! 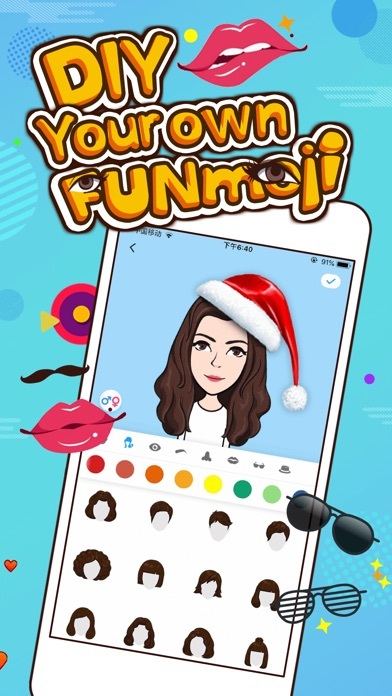 Want to surprise your friend with FUNmoji? Customize a new avatar of your friends! 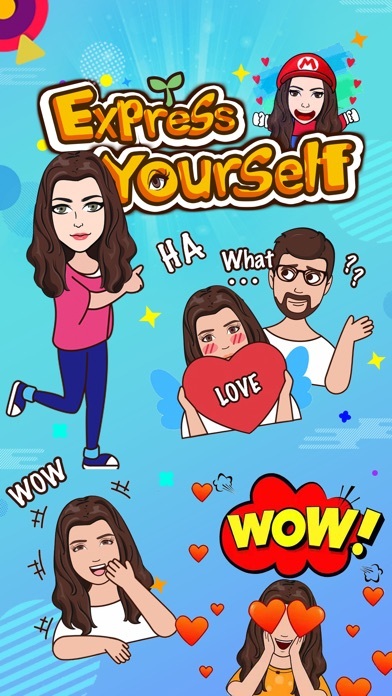 Get a FUNmoji set with both of you! Last but not least, FUNmoji is absolutely FREE! Subscription Policy: 1 month FUNmoji Pro for $19.99, auto-renews at the end of each month term at $19.99. Payment will be charged to your iTunes Account at confirmation of purchase. Your subscription automatically renews unless auto-renewal is turned off at least 24-hours before the end of the current period. Your iTunes account will be charged for renewal within 24-hours prior to the end of the current period, and identify the cost of the renewal. You can manage your subscriptions and turn off auto-renewal by going to your Account Settings in the iTunes store after purchase. Any unused portion of a free trial period, if offered, will be forfeited if you purchase a subscription to that publication, where applicable. If you want to cancel subscriptions, please go to iTunes & App Store settings and follow the related guidelines. * Privacy and Security FUNmoji will never collect your personal info and collect the photos you set as HD wallpapers.